Is it legal for South Africans to play at online casino websites? Whether you live in Cape Town, Johannesburg or anywhere else in South Africa, read on to discover whether it is legal for you to gamble online. 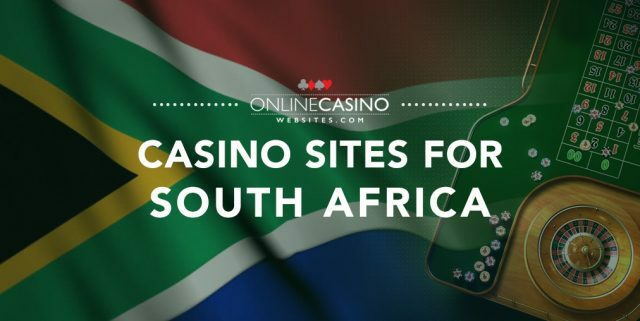 Learn more about the online gambling laws in South Africa and find where South African players can legally and safely gamble for real money online. Is it legal for South African’s to gamble online? To put it clearly, online casino gambling is illegal in South Africa. It is illegal for a person to provide online casino services and it is illegal for an individual to gamble at an online casino, even if the casino is legally licensed overseas. The only forms of online gambling that are allowed are sports betting, horse racing and bookmaking, provided the service has applied for and received a legal license from within South Africa. South Africa is one of the few countries that has penalties in place for both players and operators. A 2010 North Gauteng High Court ruling stated that any online casino site, individual, internet service provider or bank that processes payments for online gamblers will be subject to a fine of ZAR 10 million or 10 years of imprisonment, or both. These laws also apply to mass media outlets that advertise online gambling services. However, the major focus continues to be on banks and ISP’s, with no record of an individual player being fined for gambling at an online casino. 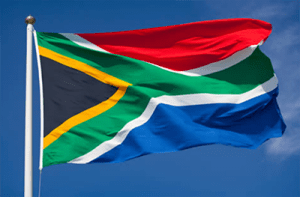 Despite the National Gambling Board (NGB) urging offshore casinos to block their domains from being accessed within South Africa, many international casinos that are fully aware of the laws continue to service the South African market. As long as the offshore casino is operating under the laws of its gambling jurisdiction of operation, it is the vendor’s choice whether or not to take the risk and accept South African players – although doing so is against South African law. With plenty of online casinos continuing to service South Africa and little to no record of player punishment, many South African’s continue to play online casino games for real money. If you choose to do so, it is very important that you understand you are acting against the law, and even though prosecution is unlikely, it is not impossible. It is up to you to understand the laws that apply to you and proceed at your own risk. If you choose to ignore the law and play at an online casino, make sure you do so at a trustworthy site that has licensing from a reputable gambling jurisdiction, and always use a VPN (virtual private network) for an extra layer of security. There are no online casinos that are legally licensed to operate within South Africa. As explained above, online casinos are illegal in South Africa and the country does not issue casino licenses to online vendors. Despite this, many reputable offshore casino sites continue to accept South African players so punters still have plenty of options. If playing online, always stick with online casinos that have licensing from an upstanding gaming jurisdiction like Malta, United Kingdom, Isle of Man, Curacao, Gibraltar or Alderney, and make sure the site uses reputable software, offering games from trusted providers like NetEnt, Microgaming, BetSoft, Evolution Gaming, Ezugi, Quickspin, Playtech and others. Make sure the site is protected by a minimum of 128 Bit SSL (Secure Socket Layer) digital encryption security and always use a VPN for added security. Most importantly, be aware that online casinos are 100% illegal in South Africa and if you choose to play, you are doing so at your own risk. Given the laws that prosecute banks and financial institutions for processing payments to any online gambling service, it is highly unlikely you will find a reputable offshore casino that accepts deposits using South African rand (ZAR). This doesn’t mean South African players can’t make a real money deposit, it just means currency conversion fees will apply as money is exchanged into a more widely accepted currency like USD, EUR, GBP, AUD, NZD, CAD, NOK, SEK or others – the available options depend on the casino. Due to the laws that make it illegal for banks to process payments to gambling sites, South African players should always steer clear of making a deposit via bank transfer, credit card or debit card, even if the casino offers these options. Your payment will likely be blocked by the bank and is not worth the risks involved. If you do decide to play for real money at an offshore casino site, use an alternative payment method like a web wallet or pre-paid card, with popular options at online casinos being Skrill, Neteller, Paysafecard, Flexepin and ecoPayz. Always use a trusted VPN (virtual private network) service for an extra layer of security when depositing and withdrawing cash online and for playing at any online casino website.